Usually, the diabetics are stuck between what they should eat and what they should not. Their blood sugar levels must be balanced and this completely depends on what they eat. Whole wheat, green veggies and fruits, pulses and the foods rich in omega 3 fatty acids are appropriate to keep them healthy. But this diet turns out to be boring after some days. A little variation can make them appetizing. If you wish to relish a breakfast without any carbs, then top your list with this Italian-inspired omelet. 1. Take a bowl and put some egg, egg white, Italian seasoning, salt, and cayenne into it. Beat the mixture until combined. 2. Take a skillet and preheat it over medium flame. Add the egg mixture to it. Make use of a spatula to smoothly lift the edges of the egg white. 3. Put spinach, tomatoes and 2 tablespoons of the cheese over half of the egg. Fold the unfilled half of the egg over the filling. Kindly glide the omelet out of the pan to a plate. Sprinkle using the cheese. You will enjoy this matchless fruit and veggie smoothies that boast just 83 calories and 21 grams of carb. 1. Take a saucepan to cook cauliflower, uncovered, in boiling water for around 10 to 12 minutes. Then drain the hot water and rinse it with cold water to cool it down and then drain. 2. Blend honeydew melon, cauliflower, cucumber, mint, water, and honey in a blender until it becomes smooth. Add some ice cubes. Again blend. 3. Pour into glasses and serve right away. This breakfast recipe boosts energy and keeps you satiated. 1. Take a bowl. Put yogurt, oats, milk, pineapple, chia seeds, vanilla and cinnamon to it and stir. 2. Move the mixture to an airtight container and close its lid. 3. Let it remain in the refrigerator for around 8 hours or up to 2 days. Swirl properly before serving. 4. Sprinkle with almonds and top it with chopped apple if you wish. The best thing about this recipe is that it takes just 10 mins to prepare it and is packed with proteins. 1. Take a nonstick skillet and spray some oil. Preheat it over medium heat. 2. Take a bowl to beat together eggs, broth and black pepper. Whisk in sliced sausage. 3. Add the egg mixture into hot skillet and cook on a medium flame. 4. Take a spatula to lift and fold the partially cooked egg so the raw part swipes under. When almost prepared, add the tomatoes and cheese. Cook until egg is prepared through. 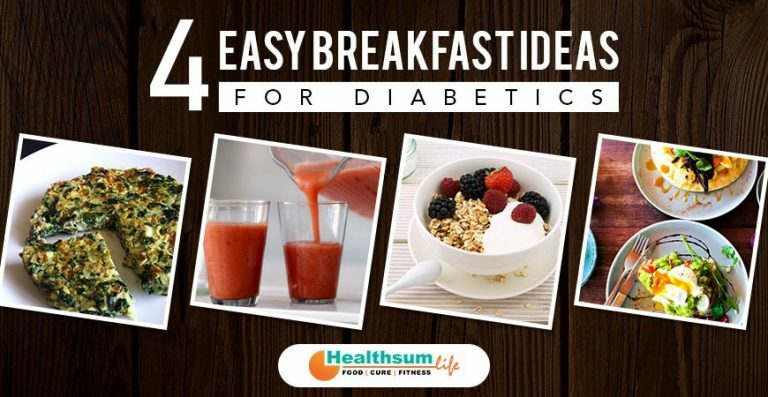 These healthy breakfast recipes will be loved by one and all and no one will realize that these actually are diabetes-friendly! Furthermore, if you are worried about your calorie intake, these are light breakfast recipes you can go for!